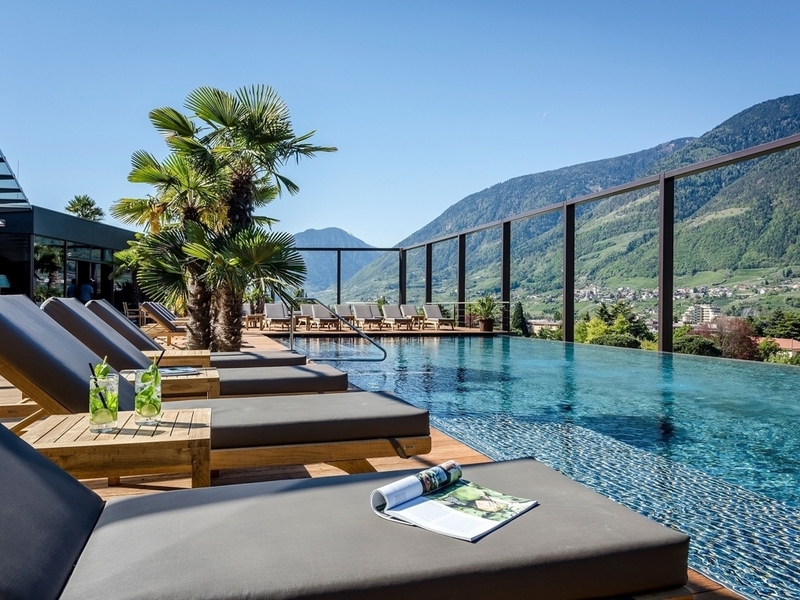 Hotel Therme Meran in Meran. 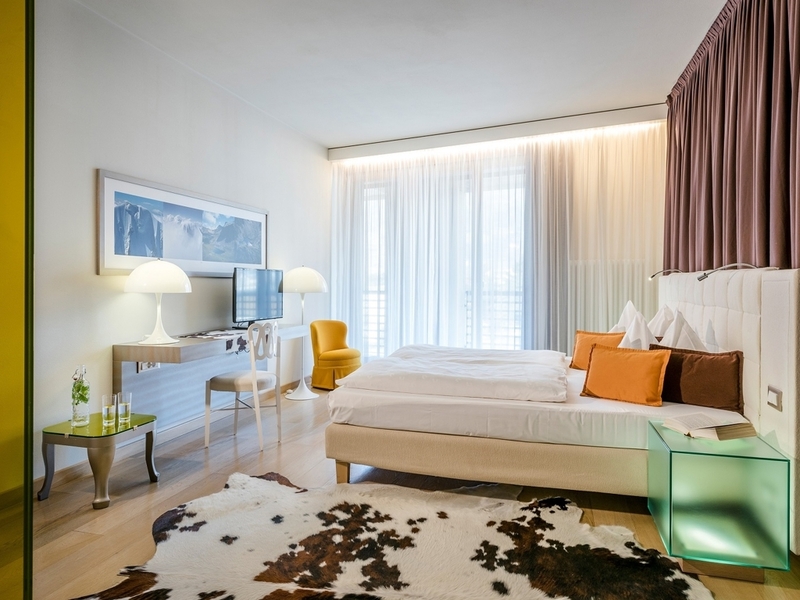 Book the best hotels in South Tyrol here! 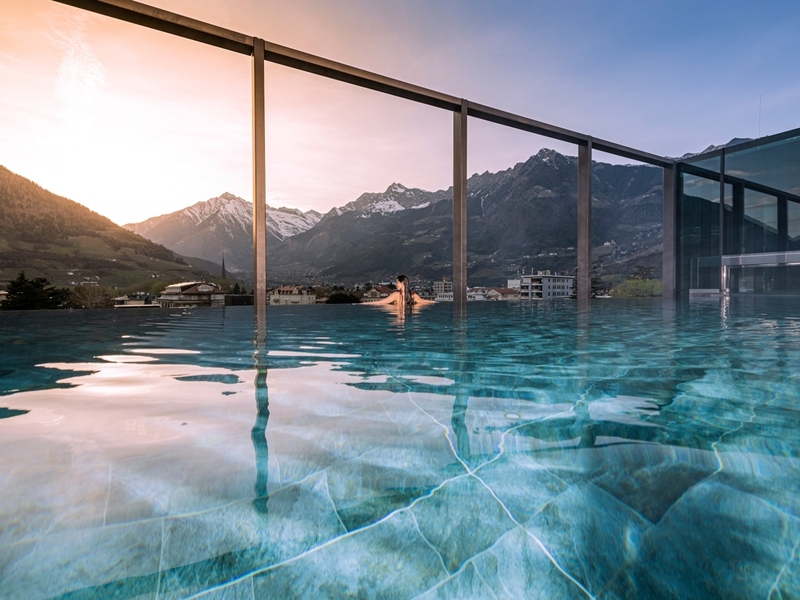 Hotel Therme Meran is located in the middle of the lively centre of the spa town Meran, nearby the well-kept park of the thermal bath. 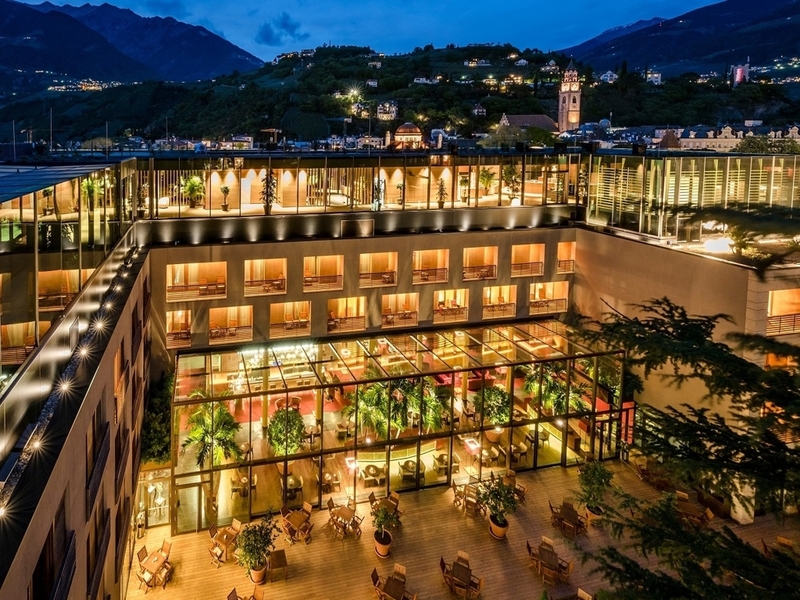 From here, you can start wonderful walks through the picturesque old town, you can go for a stroll on the nearby promenade and you can discover the cultural sights of Meran. 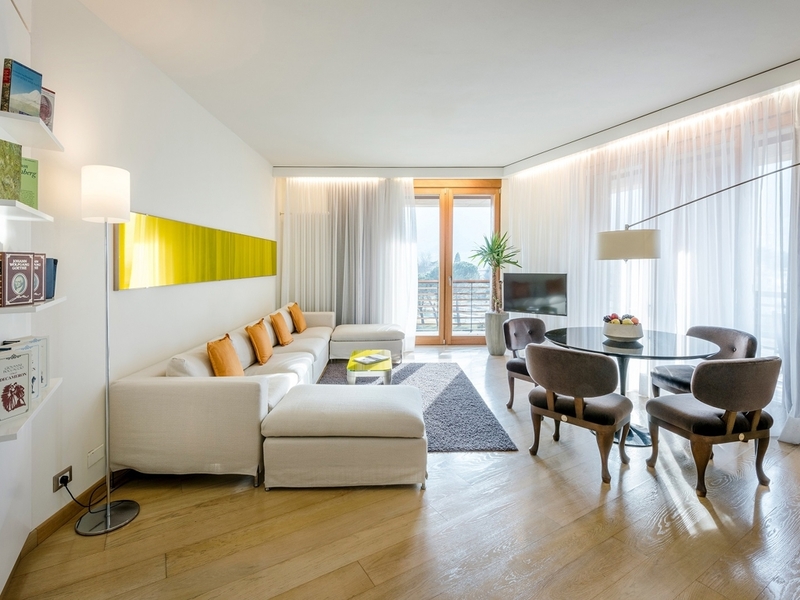 Our hotel is also easily accessible by those traveling by public transport such as bus or train and being in a central location is ideal for those on vacation does not want to give up a little 'healthy shopping! 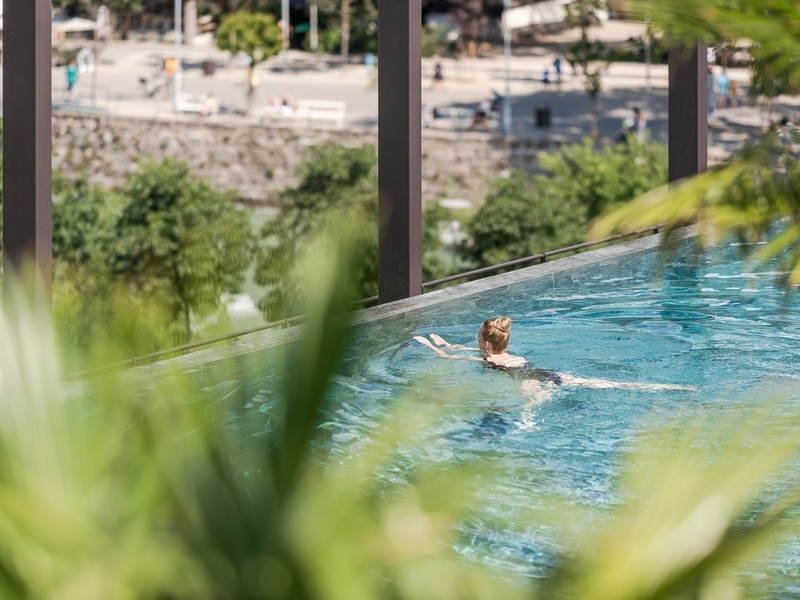 In Hotel Therme Meran everything is about your well-being. 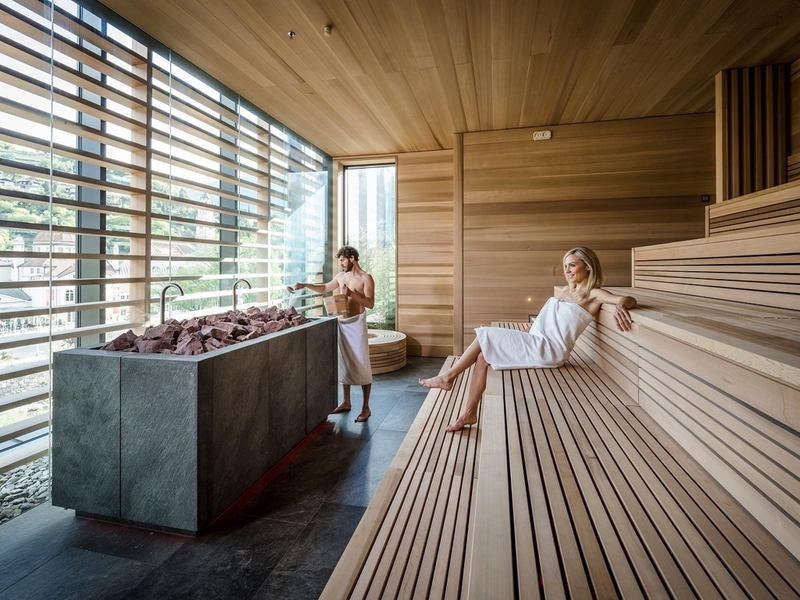 The "Garden Spa" offers an indoor pool, a heated outdoor pool with lawn for sunbathing, a whirlpool, an aroma bath, a sauna and a steam bath. Besides numerous pleasant massages and treatments with natural cosmetic products of highest quality, you can enjoy also a solarium and a fitness room. 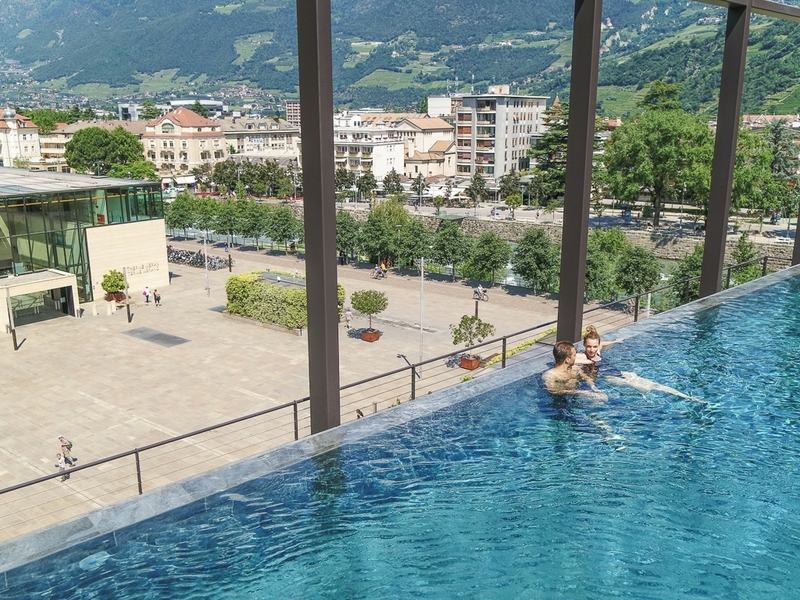 Furthermore, you can reach the thermal bath of Meran with its 25 pools through a private tunnel. The admission is included. 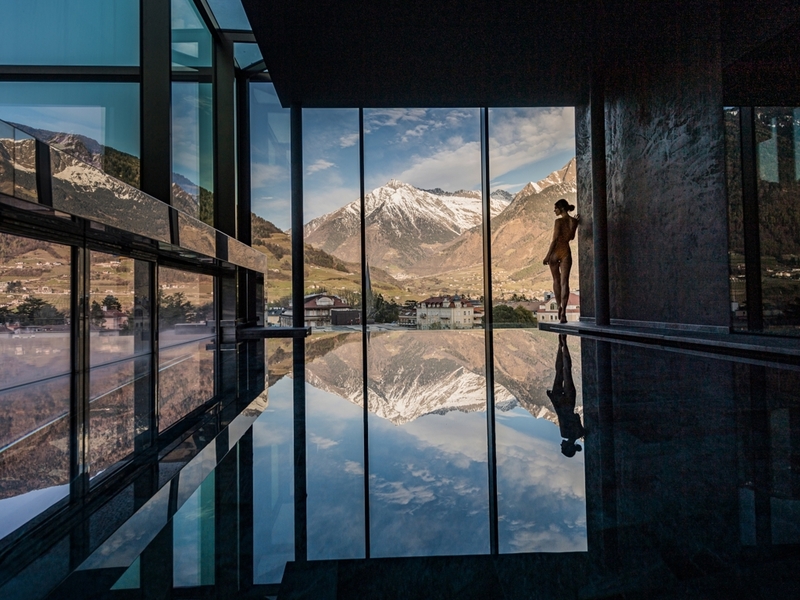 New from 2017 is the “Sky Spa” from 14 years, which has an excellent offer for wellness lovers on a surface of 3,200 m². 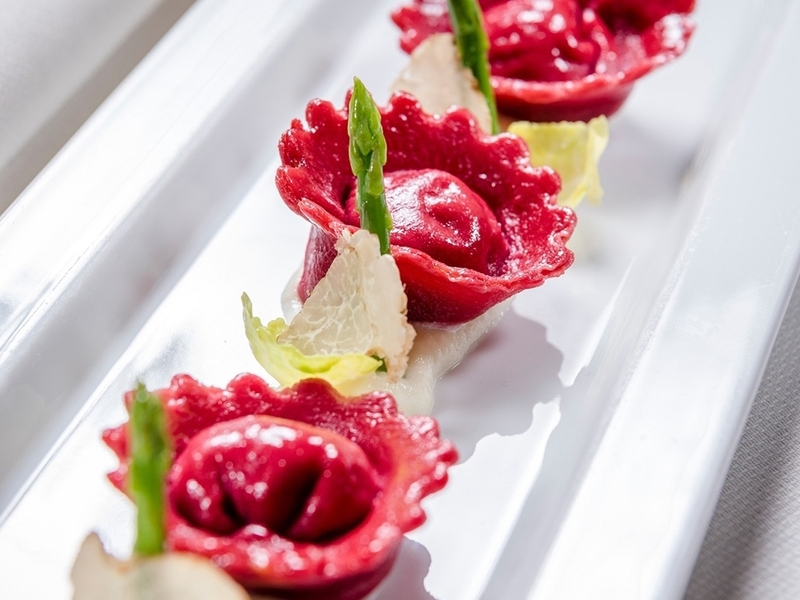 You can enjoy delicious menus made of fresh products in a pleasant and elegant ambience in the Restaurant "Olivi". 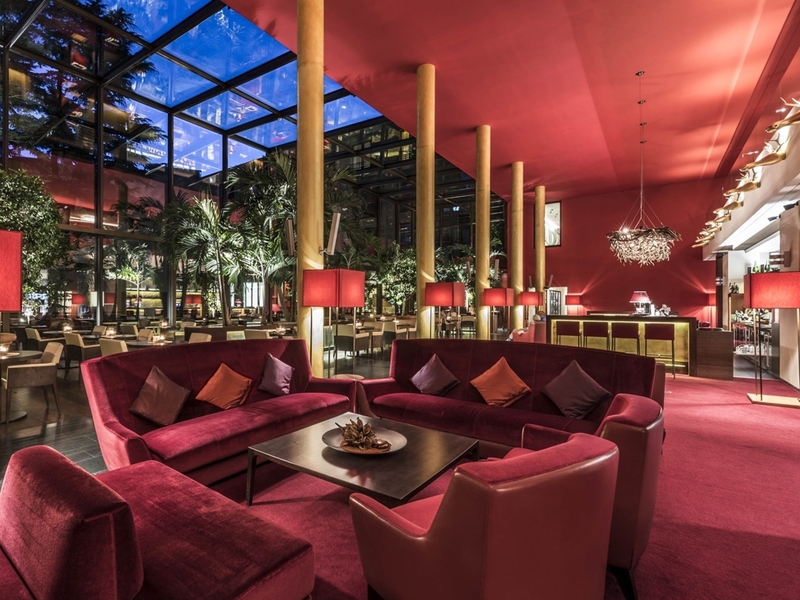 Chef Karlheinz Falk and his team will show you a world, where finest South Tyrolean specialties, Italian lightness and international delights meet each other. Enjoy a rich and varied breakfast buffet every day. The Bistro "La Piazza" offers hot dishes and little delicacies all day long. 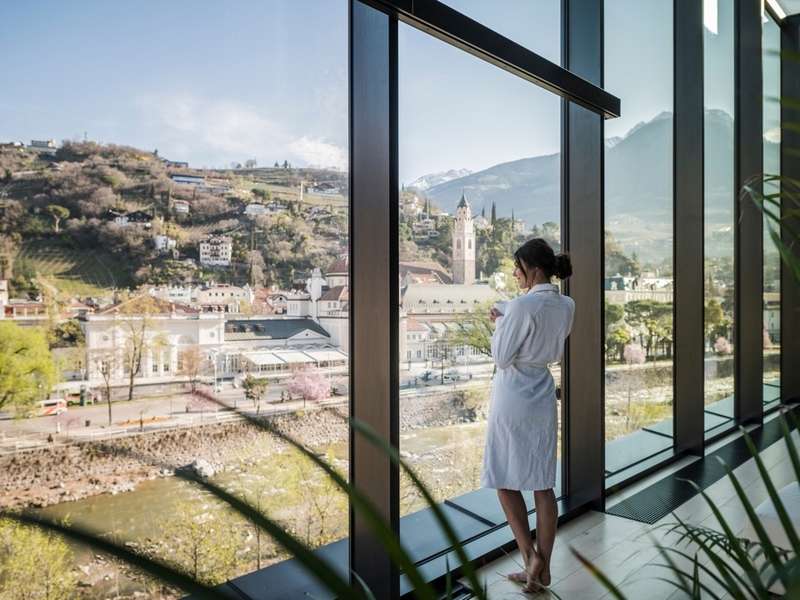 If you are looking for a very special experience to live in pairs, to celebrate your wedding anniversary or engagement and why not your honeymoon, Hotel Therme Meran is certainly the ideal place. 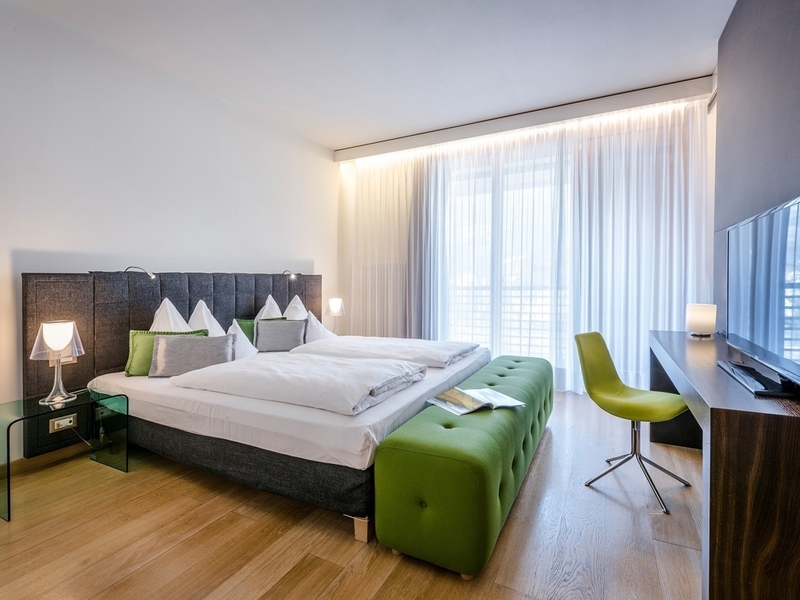 So many highlights await you for your romantic moments, like the apple blossom in spring, the pleasant summer temperatures, the magic of Christmas markets in winter and the smell of chestnuts in autumn! Who loves sport in our hotel will really satisfy every need and desire! 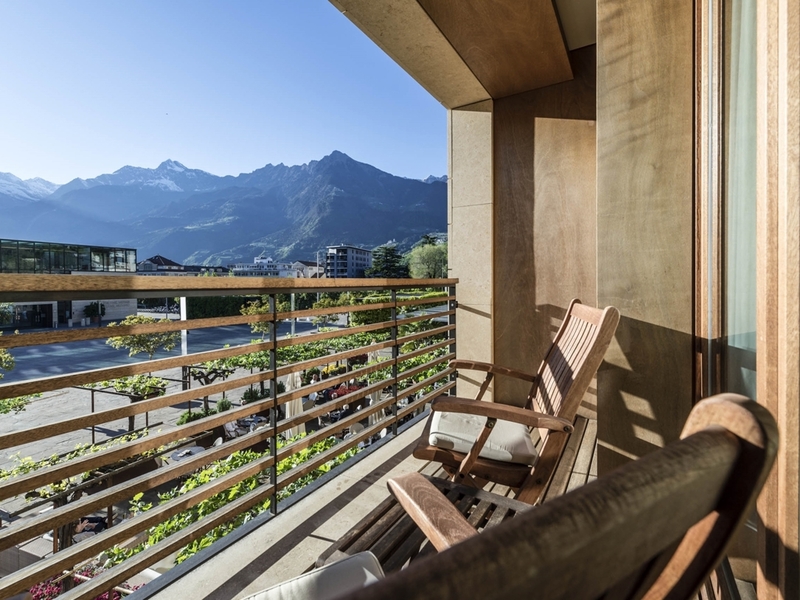 For cyclists, mountain bikers, hikers and other jocks there are waiting countless possibilities in the surrounding area and many other sports to practice outdoors, surrounded by the mountains of South Tyrol! 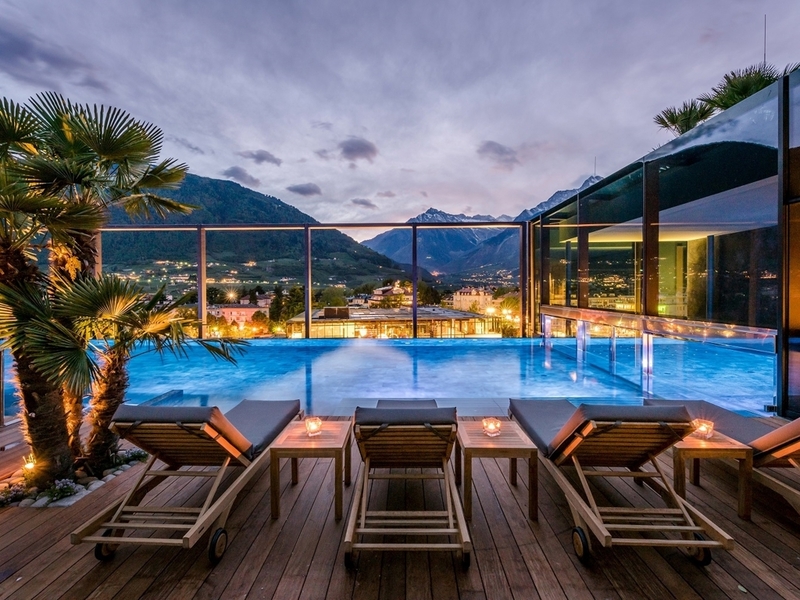 In Meran there are many other highlights for sports, such as the Hippodrome, one of the most beautiful in Europe that hosting from May to October various competitions. You can also participate in many sport events and festivals. Stylish yet cozy room offering approx. 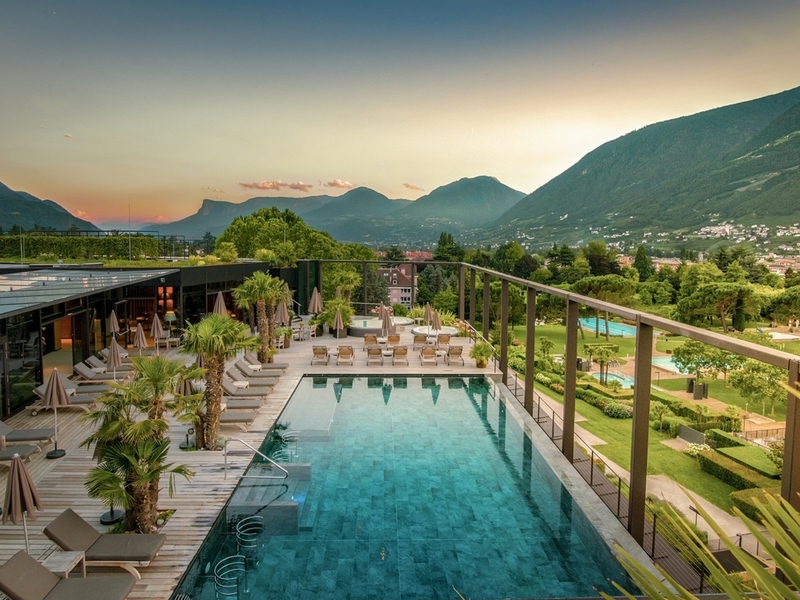 30 sqm, French balcony with stunning views, double bed, bathroom and WC, sitting area, free WLAN, air condition (adjustable), use of hotel spa, free direct access to the new Terme Merano spa area (13 indoor and 12 outdoor pools, varying according to season). Room offering approx. 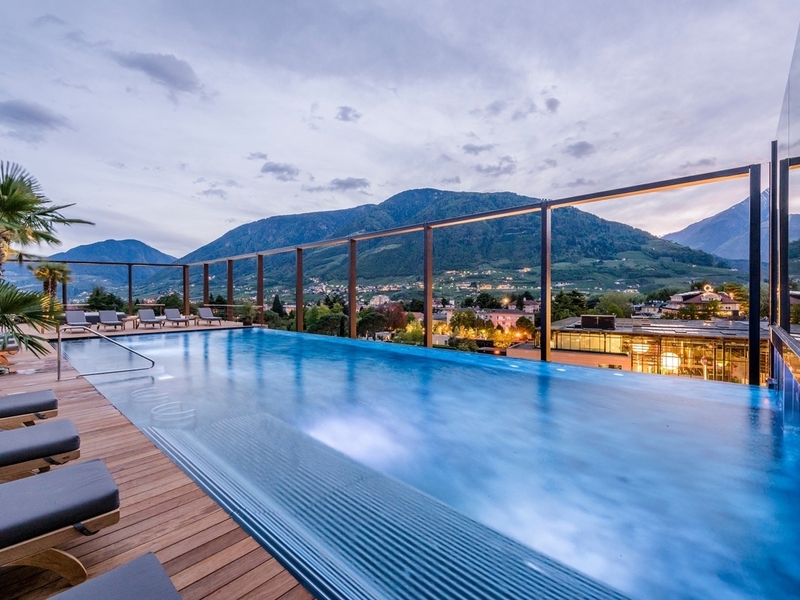 30 sqm, view of spa park or of the surrounding mountains, balcony, double bed, bath with tub and WC, sitting area, desk, air condition (adjustable), free wi-fi, use of hotel spa, free direct access to the new Terme Merano spa area (13 indoor and 12 outdoor pools, varying according to season). 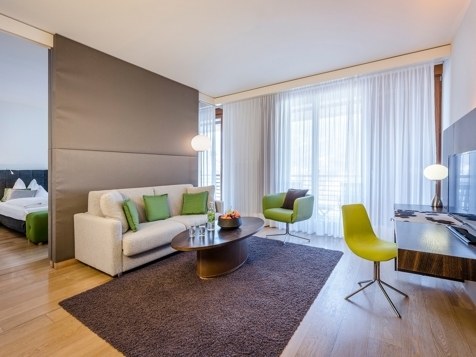 Suite offering aporox. 60 sqm, view of the spa park or of the mountains, loggia or French balcony, double bed, bath and WC, living room, air condition (adjustable), two LED satellite TVs, free wi-fi, use of hotel spa, free direct access to the new Terme Merano spa area (13 indoor and 12 outdoor pools, varying according to season). Calla Suite offering approx 75 sqm, held in pure white colors, the exclusive angel suites have a unique view of the spa- and thermal park and of the surrounding mountains, large wooden angel-loggia, bedroom with open spa bath and designer tub, separate daytime WC, living room with room high panorama windows. 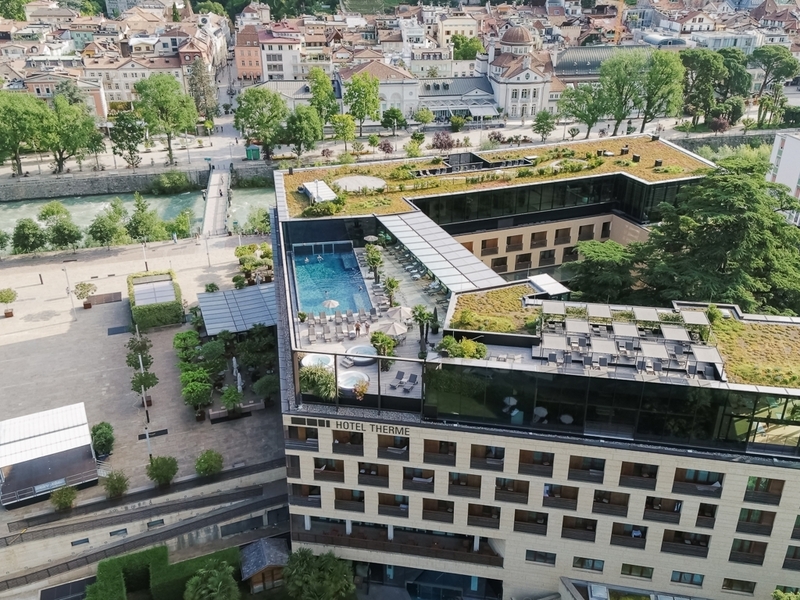 air condition (adjustable each room individually), two LED satellite TVs, wi-fi, desk with Internet access, use of hotel spa, free direct access to the new Terme Merano spa area (25 indoor and outdoor pools, varying according to season).